While having lunch with Darko Kerim in From Russia With Love, Bond has kebabs, watches Kerim eat his raw meat, and they have a bottle of wine. The second course came, and with it a bottle of Kavaklidere, a rich course burgundy like any other Balkan wine. 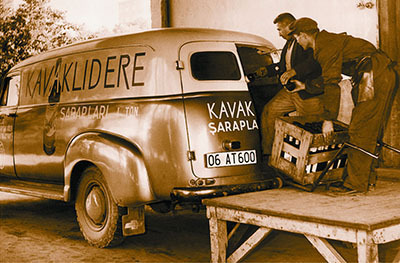 Kavaklidere is the oldest and most famous winery in Turkey. In describing the wine as a “burgundy” Fleming is referring to its color, a deep rich red, likely from either the Öküzgözü (“ox eye”) grape or the Boğazkere (translates to “throat burner”) grape. The latter produces a strong bodied red wine with very rich and strong aromas of dried red fruits, and spices, and is said to pair very well with red meat kebabs. 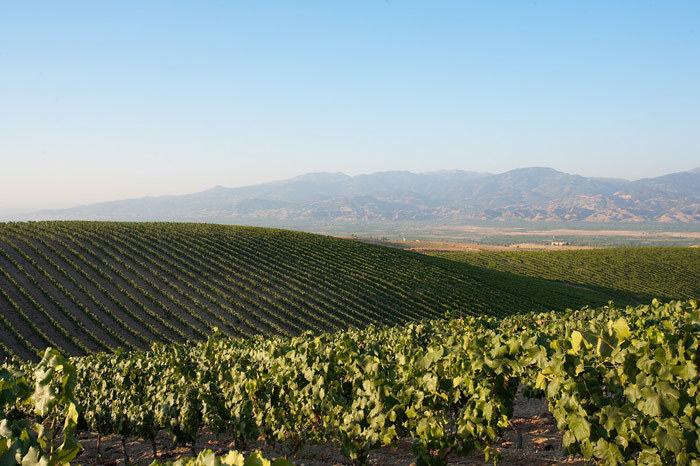 Vineyards of the Kavaklidere Winery.